No, we are not done talking about Modern Warfare 2‘s success quite yet I’m afraid. Activision has sent out a press release filled with stats today, some of them taking the approach commenter Waldor predicted a few days ago. For example, I bet few knew that the game saw 5.2 million multiplayer hours worth of game time on day one of release alone? Or that 11 million achievements were unlocked? Yes, intriguing stuff. But more interestingly, the publishing giant announced that, according to internal estimates, Modern Warfare 2 brought in $550 million in sales in its first 5 days on the market, kicking the arses of both The Dark Knight and Harry Potter and the Half-Blood Prince films, as well as Grand Theft Auto IV on the videogame front. Read on for further comparisons and stats. 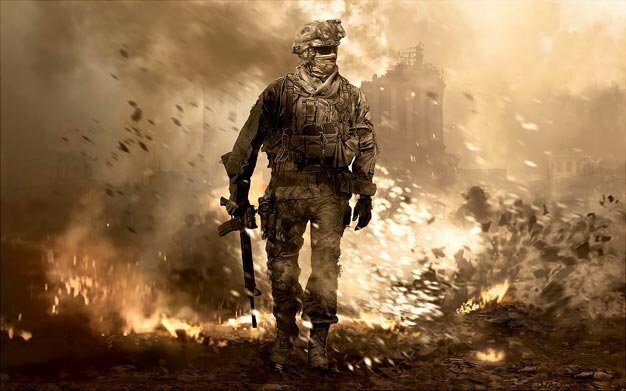 More than 5.2 million multiplayer hours were logged playing Call of Duty: Modern Warfare 2 on the first day alone. More than 2.2 million unique gamers played Call of Duty: Modern Warfare 2 in one day on November 10th. A new one-day record for Xbox LIVE. More than 11 million achievements were unlocked on Call of Duty: Modern Warfare 2 on the first day.